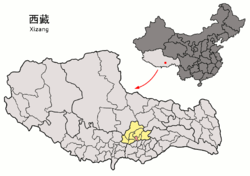 Lhasa (Standard Tibetan: ལྷ་ས།; Chinese: 拉萨) is a city in Tibet. It is one of the highest cities in the world. 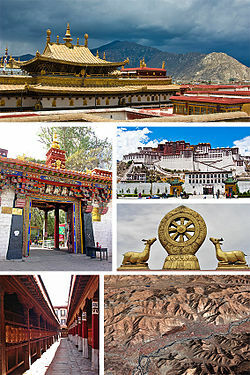 It has many Tibetan Buddhist sites such as the Potala Palace, Jokhang and Norbulingka. ↑ "Lhasa City Master Plan". gov.cn. Retrieved 2017-08-07. This page was last changed on 20 November 2017, at 15:55.